CHITWAN, June 15: Chitwan National Park (CNP) has collected eggs of the Gharial crocodiles from Narayani and Rapti river banks in a bid to protect them from being damaged. The crocodile breeding center of the CNP every year collects the reptile eggs from the places where they are deemed unsafe. The eggs are collected from places where they are at risk of being washed away by the flooded rivers, where there is much human movement and where there is risk of the rare animals as rhinos causing damage. 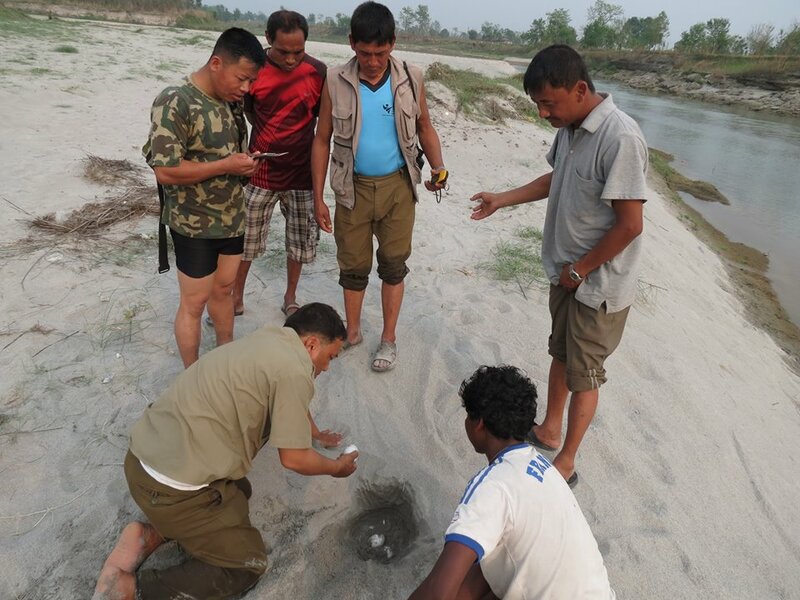 Of the seven nests of the reptile found during a search along Rapti river banks and 12 along the banks of Narayani river, 135 eggs from five nests were taken from Rapti river bank and 218 from seven nests from Narayani river bank, said CNP assistant conservation officer who looks after the breeding center. Eggs at other nests were left intact as they were in relatively safe places, he added. A total of 10 human resources were mobilised to collect the eggs. The breeding center has a total of 500 crocodiles at present. Crocodile hatchlings are released into various rivers. So far 1246 crocodile hatchlings have been freed into various rivers with 90 let loose into Narayani and Rapti rivers in the current fiscal year alone, said Khadka.